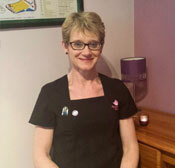 >My name is Daphne Graham and I am the owner of Ryevale Holistic Therapies. For many years I worked from my home in Leixlip, I have now moved to Celbridge to live and I work from my home in Hazelwood Park. It is a lovely quiet location with free parking. I’ve always had a huge interest in all aspects of holistic health, and in 2008, after many years of working in business, I decided to begin my training in this field. Since then, I have continued to expand my interests and skillsets with continued professional development by attending many workshops and courses. I am a member of the National Register of Reflexologists Ireland, Fertility Reflexology Network and ITEC. I firmly believe in the power of touch therapies and have seen the effects that they have had on my clients, especially with regard to stress reduction. Stress can affect any part of the body, which is physically, emotionally and spiritually connected. I aim to provide a relaxing, comprehensive and professional treatment, which is tailored to the individual’s needs, at an affordable price. Welcome to my site and please feel free to email me with any of your queries. I look forward to hearing from you.